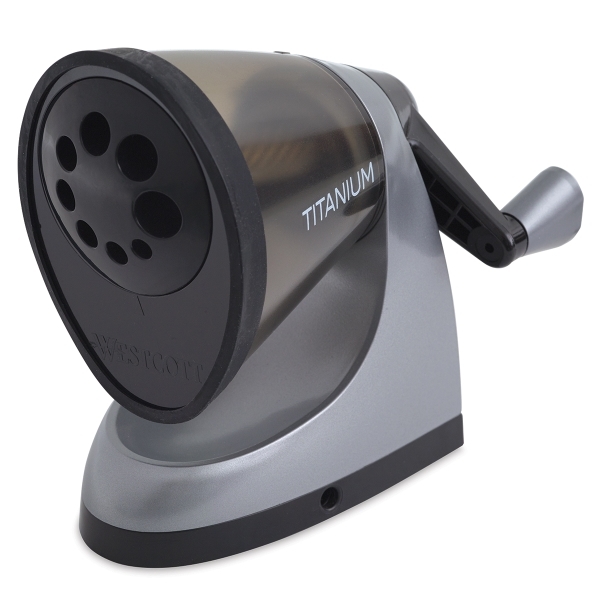 This trendy sharpener is as practical as it is stylish, ideal for any setting. Armed with antimicrobial protection, the iPoint Manual Pencil Sharpener resists stains and odor-causing bacteria, perfect for classrooms. Premium features include titanium bonded dual helical blades that stay sharp longer, an adjustable dial with eight settings, and an EZ-view shavings reservoir. A tabletop attachment and screw-down mounting are also included. 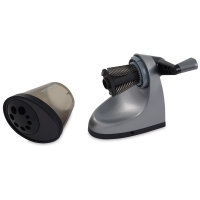 The Westcott iPoint Manual Pencil Sharpener includes a one-year manufacturer's warranty. ® Westcott is a registered trademark.iPoint is a registered trademark.